What an awesome dog! You are missed. River: She always amazes me with her jumping, quickness and athleticism. She's been upland hunted for the last 4 years and really loves the retrieving game. River was two years in the planning and hand picked from an AI (artificial inseminated) litter. After studying pedigrees and thinking about what I really wanted in a golden I called Judi and made the arrangements. I couldn’t be happier! River is AWESOME! She is another strong FC line coupled with a multi-generational western breed hunting line of Sheila which produced exactly what I was looking for. 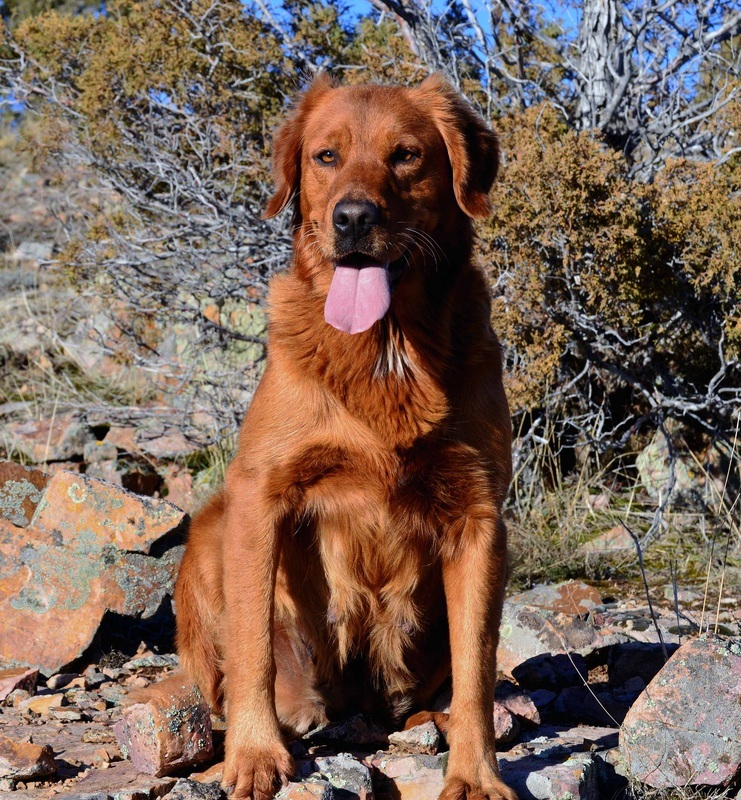 A fantastic golden attitude, trainable, high prey drive and the athleticism & endurance needed for my type of upland game hunting. I’ve seen tremendous success in out-cross matches which include titled field and strong hunting lines producing athletic, smart, biddable companions. Training: Passed her JH 2012 with ease 4-4 and really turned it on. The light came on for River at around 12 months. She has a lot of natural drive, birdiness and is becoming an excellent upland hunting dog. She is biddable, fast and fun to work with. -Highly trainable, serious in the field and tenacious prey drive. Has the complete package for hunt tests. -Skills easily translate to MH if desired. -Will make an excellent hunting and client hunting dog. -Very nimble and quick in the field. High focus, task orientated. -Is a fantastic working companion. Represented: The desire to hunt!